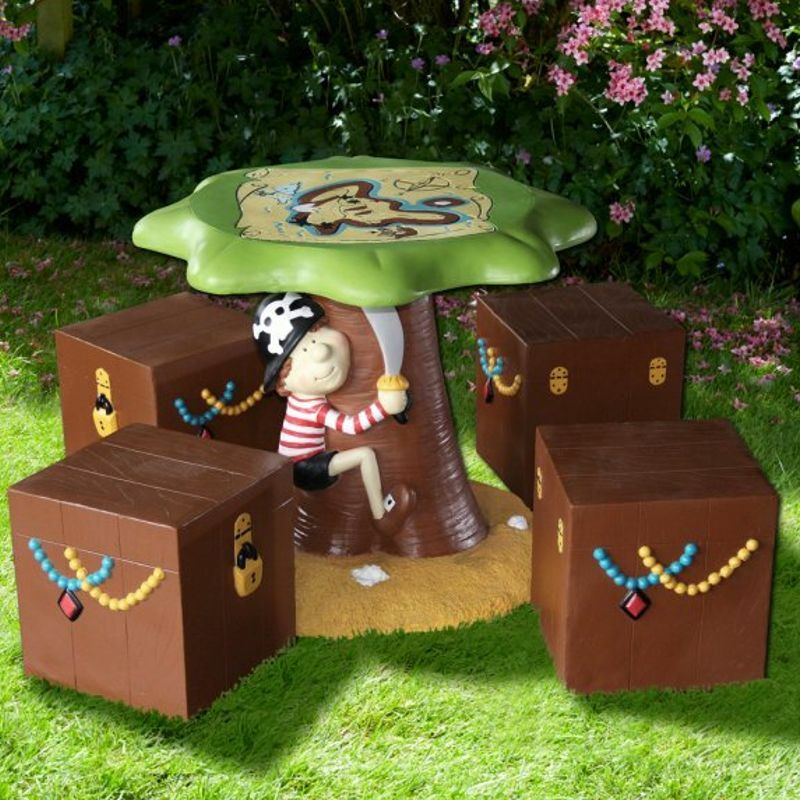 The Brundle Pirates Kids Furniture Set is a fun pirate themed children’s furniture set for the garden or even in the house. 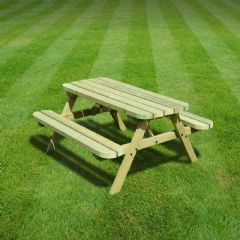 Due to its resin construction this furniture set is practically maintenance free and completely weatherproof, allowing you to leave it outside all year round. 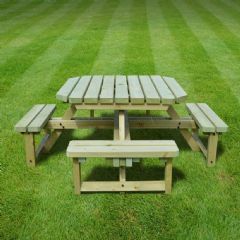 Made from tough and robust polyresin this 5 piece furniture set has been designed with bright vibrant water based colours and coated with a UV resistant coating to prevent the colours fading. The set consists of 4 stools and 1 table. Not weather to put out at present. But looks good on what I see. 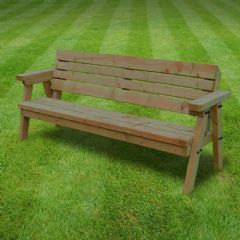 Due to the fact I got amazing discount on this item, it is fantastic and the grandchildren love it. Part was damaged either by packaging or moving from one location to the other, this is due to the fact the top is hollow. Can't say how, the top of table is hollow, I am not sure how long will last, but it looks great in the garden and the kids love it. I wouldn't pay full price but good with discount. The parcel arrived in good time. Came in several boxes. Colours of item are good, love the theme. A good size as my grandchildren range from 2 - 7 years. So suitable for all. Okay value for £79, never worth £300.